Can you increase your blog traffic simply by increasing your theme functionality and user-friendliness? Thesis is the search engine optimized WordPress theme of choice for both newbie bloggers and serious online publishers. If you are not too friendly with PHP, you will still have a lot of functionality without having to alter any code. Thesis was created by Chris Pearson of Pearsonified.com (gotta love the name!) and sold by DIYThemes. Chris designed many of the popular blogs out there, so it’s no surprise that it has been such a huge hit with the blogging world. So here is my list of Thesis theme pros and cons. 1. The theme is Search Engine Optimized – makes it easy for the search engines to find you without any specialized knowledge or much effort on your part. You can achieve great designs without having to change the core code of the theme, which means that there won’t be any negative search engine rankings effects. 2. Great customization possibilities – you can move around all elements on the page without knowing any code. Want to move a sidebar to the other side of your page? Easy. Want to change the color or positioning of your horizontal navigation bar? Easy. Change the number of columns, their width? No problem. Want to add Google ads below your header or after your posts? No problem thanks to the free Thesis OpenHook plugin. 3. You don’t need to know any code – a lot of these design updates can be done directly from the WordPress control panel. 4. Support – Future upgrades are free and if you have any questions about the theme, Chris Pearson (the theme creator) and the Thesis community are really good at helping you out. 5. Clean layout – makes the blog look professional. This one is my personal favorite; I hate clutter. If I visit a blog, where there is so much going on that it’s hard to even find a post, I leave. 6. Multimedia box – cool feature that allows you to display pictures, videos, ads, etc or even display DIFFERENT videos for DIFFERENT pages. 7. For a great review for serious publishers, read Michael Gray’s post (http://www.wolf-howl.com/blogs/thesis-wordpress-theme-review/). 1. Knowing CSS codes is where the real power of Thesis is – no problem if you know CSS, but if you don’t, you will miss out on unleashing the full potential of Thesis Themes. Side note: it’s not a difficult task to teach yourself the basics of CSS – very valuable skill for an online entrepreneur. 2. Although it is incredibly easy to use the theme, there will be a learning curve, especially for newbies. I had a few frustrations in the beginning, had to do some research on how to fix certain things. Good news: their support is incredible and finding answers is easy. Now that I’ve used it for a while, I feel like a pro (almost). I found the theme after experimenting (read: wasting a lot of time and failing) with many free themes, even paying someone to tweak them for me. After saying enough is enough, I bought Thesis theme. Is it worth it? In my opinion, yes. $87 is not a lot to spend for something that will definitely save you a lot of time and frustration. I also love how SEO-friendly the theme is; after all, the biggest problem for most bloggers is to be found, and in order to be found, you have to show up in search engines. With this theme, guru-ness is not required.  If you decide to get Thesis for yourself, I’d appreciate you clicking the link below to support my Traffic Generation blog.